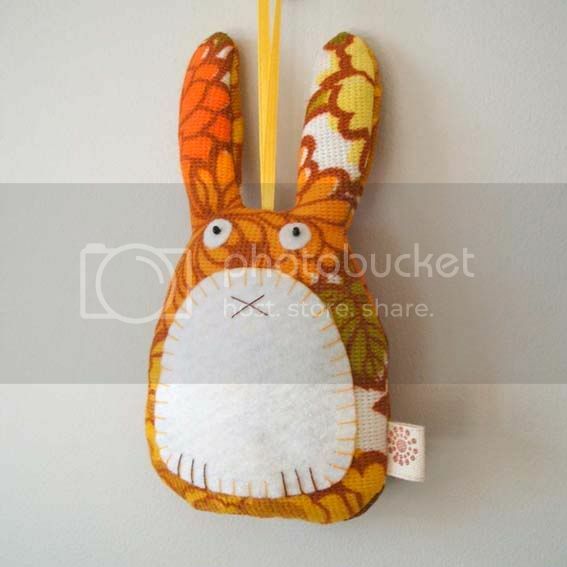 I've been working on some lavender rabbits in two new colourways. 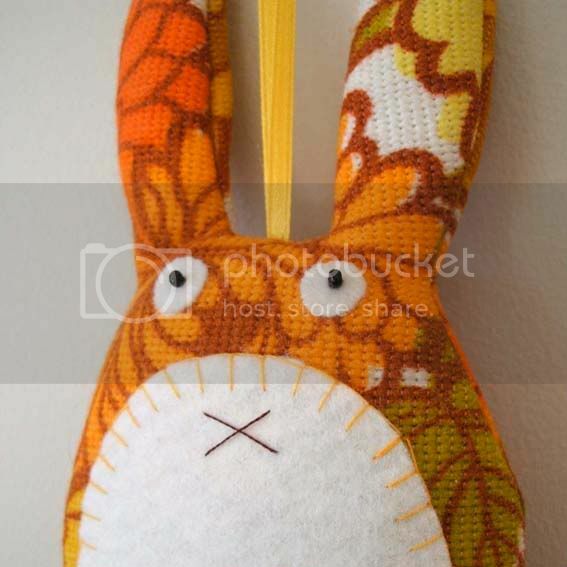 This bunny is made with one of my favourite vintage fabrics. 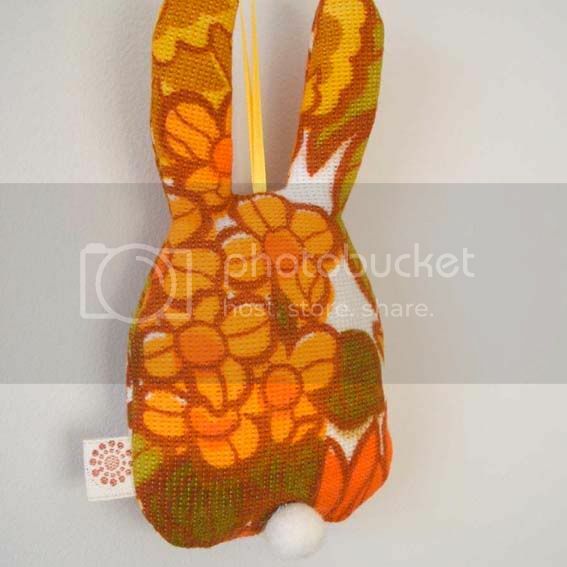 It features a retro floral pattern in shades of zesty orange and lemon yellow. i love the fabric. they are very cute indeed. Oh he is sooo cute. I love hime!